St. Louis Rams QB Sam Bradford was named the AP Offensive Rookie of the Year, which was very much warranted as his getting 44 of the 50 votes can attest to. 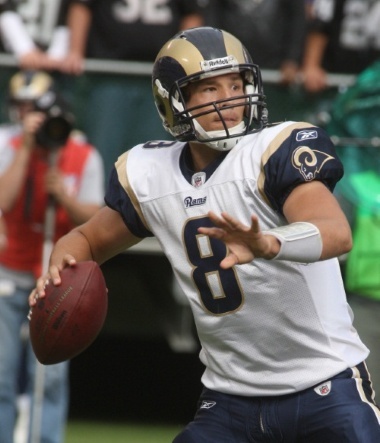 Bradford took a 1-15 Rams team to the point of the playoffs in the 2010 season, and improving the team to a 7-9 record. He finished his season with 3512 passing yards, hitting on 60% of his passes, and throwing for 18 touchdowns versus 15 interceptions. The first overall pick in the 2010 NFL Draft had some questions because of a shoulder injury in his last season with the Oklahoma Sooners. He is the fourth QB to win the AP Offensive Rooke of the Year since 2004.